As we approach the biggest shopping days of the year, I wanted to give a little love to my favorite local small businesses. I’m partnering with American Express on Saturday to support their Shop Small Saturday campaign, so definitely stay tuned for that on Instagram! But while prepping for that project, it got me really excited about all of my favorite places to shop locally. 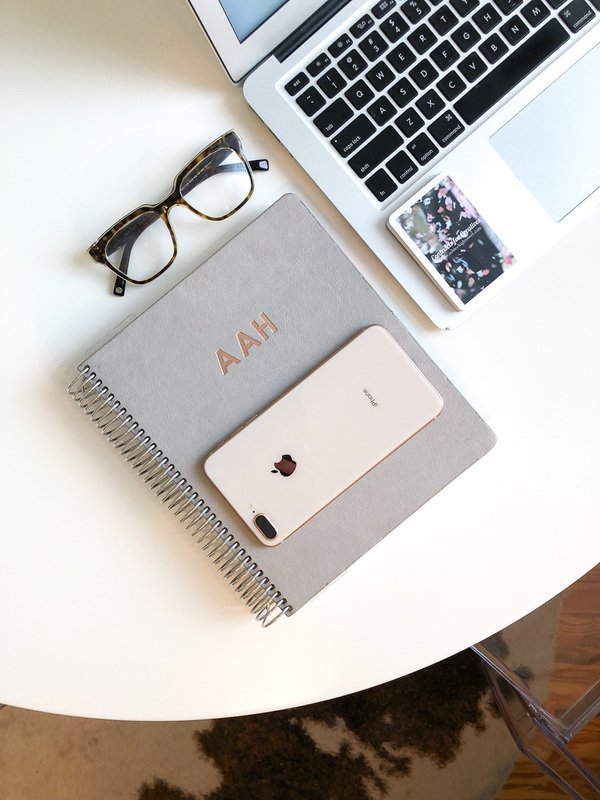 This post is in no way sponsored by American Express, I simply wanted to share where I love to shop in hopes that you’ll find a new, local business to support too! While I love shopping online, I also love shopping locally. It’s so important to support small businesses in our communities. Unless, God forbid, you want your neighborhood to be overrun by chain establishments. So get out this weekend (and this holiday season) and support your local shops, I promise they’ll thank you! You all know that I live in DC, and I love to shop at all of my favorite shops there. In addition to sharing my favorite places to shop in DC, I’m sharing my favorite local spots in my hometown of Shreveport, Louisiana. I’m home this week for the Thanksgiving holiday, and I couldn’t help but mention all of the spots that I make a point to stop in while I’m home visiting. 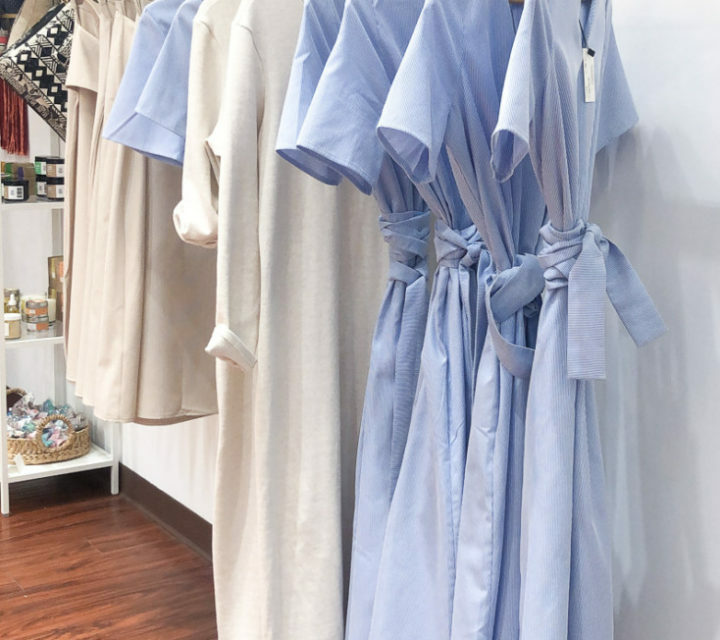 LUNA – LUNA has become my go-to spot for clothing and jewelry in the DC area! They carry all the brands you know and love like Vince, Free People, BB Dakota, Frame Denim, Citizens of Humanity and tons more! And the sales associates at the Bethesda shop are the best! Salt & Sundry – There are two Salt & Sundry locations in the city. I love popping in the 14th Street location anytime I need to pick up a quick, thoughtful gift! Little Leaf – Salt & Sundry’s sister store, Little Leaf, is the most adorable plant shop you’ll ever visit! Park Story – A new, semi-permanent pop-up shop featuring womenswear, jewelry, accessories, and home goods by local and independent brands! Two of my favorite local designers’ pieces are on display in the store! Mimi Miller – Mimi Miller’s pieces can be found at Park Story! Mimi Miller is one of my favorite local designers. She designs the most beautiful, neutral, easy-to-wear pieces! I have one of her tops, and it’s a staple in my wardrobe! Meghan Evans – Meghan Evans is another local designer! She’s the curator of Park Story and her pieces are also displayed in the shop. She specializes in pieces for tall women. Her pieces are classic and timeless. Greenheart Juice Shop – One of my favorite humans in DC co-owns Greenheart Juice Shop. They serve the most delicious juices and smoothies! Call Your Mother – A new addition to the brick and mortar restaurant scene, but I’ve been devouring their bagels at the Dupont Farmers’ Market for months! Pop in their shop to fuel up for all of your holiday shopping! Take Care Shop – I’ve mentioned that I’m slowly but surely switching over to cleaner, natural skincare products. One of my favorite skincare and beauty shops in DC is Take Care Shop! Take Care Shop is an all-natural skincare, beauty and lifestyle shop. They have a Black Friday special happening now on their website! Ivy Wild Beauty – Another favorite place to shop for clean beauty products is Ivy Wild! Ivy Wild has a great selection of non-toxic beauty products! Jac Clothing – I LOVE shopping at this local boutique. They always have the cutest clothing pieces, fun jewelry, and great gifts. Village Washstand – An old favorite! A great place to pop in for a classic gift to give this holiday season. I love their carefully curated shop. A personal favorite, my beloved catstudio pieces! Sweet Tee Shreveport – The cheekiest, nostalgic shop on the block (the online block). I love their old school shoutouts plastered on soft tees and their Louisiana themed socks! Gautreau Gallery – A new, beautifully curated home decor shop owned by one of my childhood friends! Imelda’s – A great women’s wear shop! King Hardware – A staple for fun gifts and home decor. Whisk – A great place to pop in for a sweet treat while out and about shopping or place an order for Saturday morning cinnamon rolls! 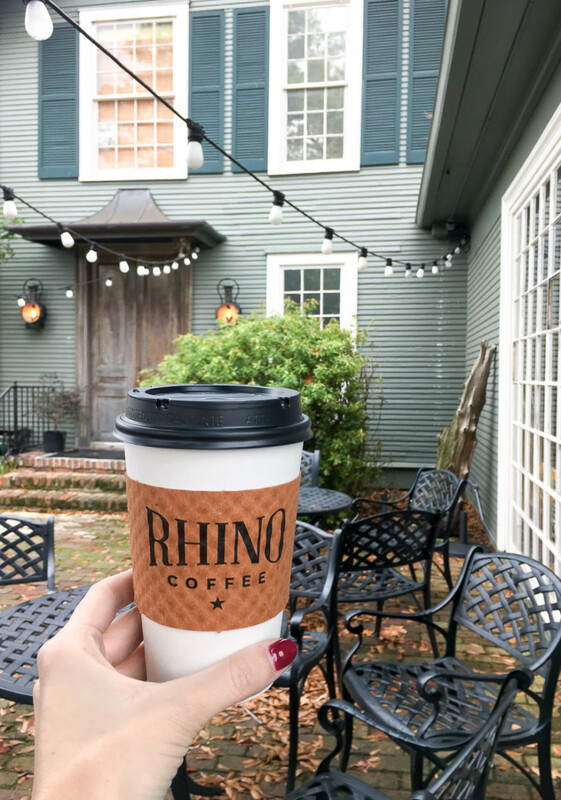 Rhino Coffee – If you’ve followed along with me for a while now, you know that I never make a trip to Shreveport without visiting Rhino! My favorite local coffee spot! Ki Mexico & Superior Grill – If you’re in need of a margarita after all of the holiday madness, hit up either Ki Mexico or Superior Grill! My two favorites for Mexican food when I’m in town! L.E. 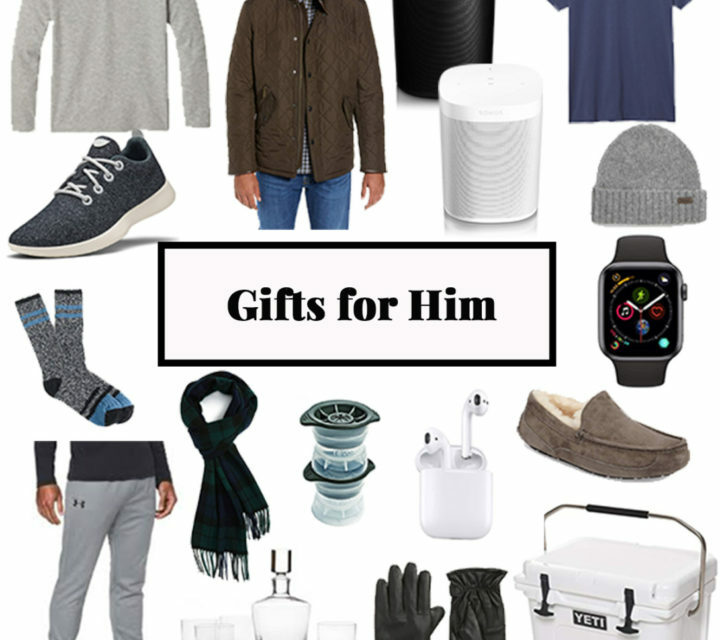 Chalk – If you’re looking for a great gift for your guy, definitely pop in L.E. Chalk! They have the best menswear! M. – When I’m looking for a spot to stop in to shop for classic, no-fail brands, I pop in M.! Favorite Sisters – Affordable clothes, quality pieces! I love their tagline! And the three sisters that run the boutique are the sweetest! Chateau en Mae – A beautiful shop filled with clothing, interiors, and gifts! 318 Art & Garden – A new art and gift gallery featuring Louisiana art and Louisiana artisanal products! The majority of their merchandise is sourced from Louisiana small businesses. Pure Barre – The Shreveport location opened less than a year ago. It’s a beautiful space where you can get a great workout! They’re having a Black Friday sale – Buy One, Get One Half Off (exclusions apply). Check out their Instagram page to stay updated on the studio happenings! Sleek Physique – A great boutique workout studio offering fun, creative group classes! They’re offering special Black Friday – Cyber Monday deals on packages! Harper House Boutique – Women’s wear shop – great for special occasions! Canatella Interiors – Great interior decor and gifts! Gullo’s Fresh Produce & Classic Bake Shop – My favorite spot to grab farm fresh veggies, fresh baked goods, and a quick lunch! And opening soon, C&C Mercantile & Lighting! One of my dear friends and co-owner of Sweet Tee Shreveport (mentioned above) is partnering to open up another shop that’s sure to be a hit! They’re opening up shop in December. Be sure to check them out! Not in Shreveport, but if you’re in south Louisiana, in Port Allen or Baton Rouge, make a point to stop in my FAVORITE little shop, SoSis! They have the cutest clothes, jewelry, and gifts! They carry beautiful art pieces handcrafted by local, Louisiana artists! I’ll likely break this out into two posts (D.C. and Shreveport) at some point, but for now, happy shopping! Go out and support your local businesses! I’m sure I missed some wonderful local businesses in both D.C. and Shreveport! Comment below with any that I overlooked! When I break out this post into two separate posts, I’ll be sure to add in your recommendations! You missed Canatella Interiors! We are apart of Locals Love Us & Best of SB Interior Design Store. Not to mention we have amazing accessories and gifts!